Family history, usually destined or even designed for limited consumption, is a familiar genre within Mormon culture. Mostly written with little attention to standards of historical scholarship, such works are a distinctly hagiographic form of family memorabilia. But many family sagas in the right hands can prove widely engaging, owing to inherent drama and historical relevance. They can truthfully illuminate larger matters of history, humanity, and culture. Kerry Bate proceeds on the premise that a story centering on the women of the clan could provide fresh perspective and insight. He portrays real people with well-rounded, flawed characters; builds from deep research; writes with a bit of style; and includes the rich context and detail of these lives. 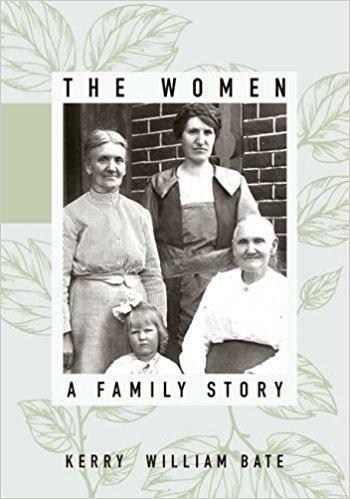 His main subjects are four generations of impressive women: the pioneer Catherine Campbell Steele; her daughter Young Elizabeth, the first Mormon child born in Utah; Kate, an accomplished community leader; and Sarah, a gifted seamstress trapped in an unhappy marriage. To enter their hardscrabble lives in small southern Utah communities is to meet women who pioneered in their own modest but determined ways.